Jack helps with an ink review. | Inkdependence! Jack also approves of Kaweco's Red. 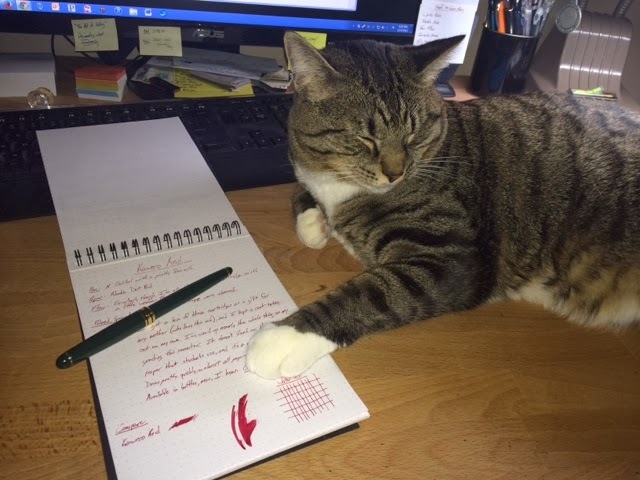 For another cat on a pen blog, check out Gourmet Pens. That ragdoll is awesome lookin'. They're very helpful, aren't they? Tyco's tufts would be an excellent brush for testing ink-smearing... :) Thanks for the mention. Hi Jack! Jack did smear some ink for me, but that's just part of the fun of having pets who like to sit on desks. Thanks for the comment!